PICK YOUR POISON No. 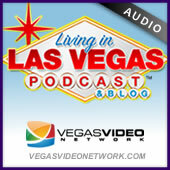 02: Casino Pool, Buffet, Amusement Attraction, Rock Club, Eating at a Bar. LISTENER EMAIL: Who Reads Caitlynn, Comedy deal, T-Mobile review, Monopod. REAL QUICK STORIES: Intro Video instructions, Wayne gets approved, Palms is bought for $312M, HADOM meet up, Frankie Moreno hint. LIVE CHAT QUESTIONS: Monorail, NHL in Vegas odds, Best Chinese food, Lucky Dragon, Top budget resorts on Strip, HAVE A DRINK ON ME.